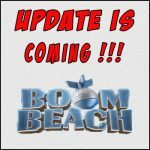 Upcoming update | Boom Beach. All about the Game! 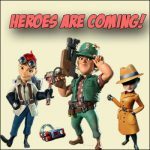 It is not a secret anymore that SuperCell team have prepared next game update that should be issued this month. 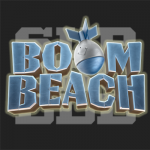 The last few weeks on the pages of forums and social networks, a lot of Boom Beach fans are discussing that news and gather all the rumors about this update. I am also very interested in this upcoming event and want to know whats new developers will bring into a game. For the last few days I’ve tried to find some leaks from SupreCell about this update but I was failed. There were nothing except of rumors and speculations. But many things have changed for the last 24 hours and a lot of interesting information appeared in the net. For the last few hours to the YouTube were uploaded a lot of video reviews of upcoming update. 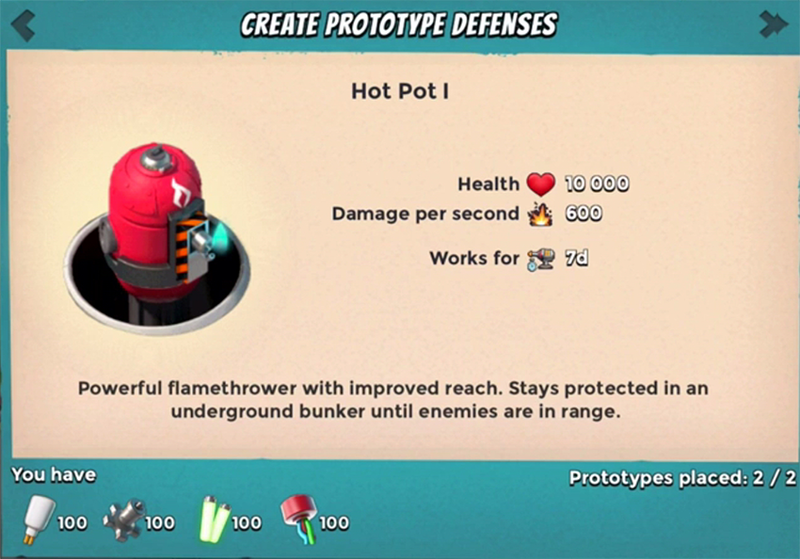 On their basis with the 99.9% probability it can be said that the new prototype weapon will be introduced into the Game, which is called “HOT POT”. 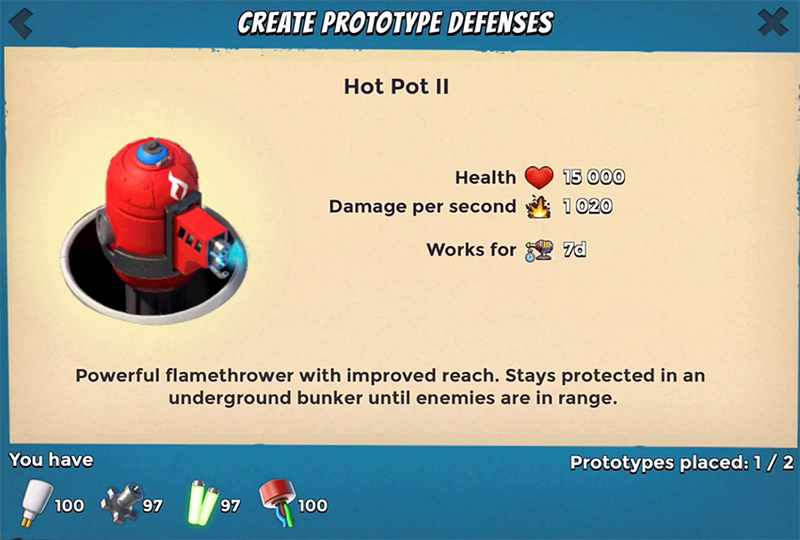 As you can see from the pictures, the Hot Pot is a kind of analogue of the Flamethrower but with increased damage power and range of fire. In the normal state the Hot Spot is underground (we can see only hatch cover) and appears only in cases when attacking units approaching him. 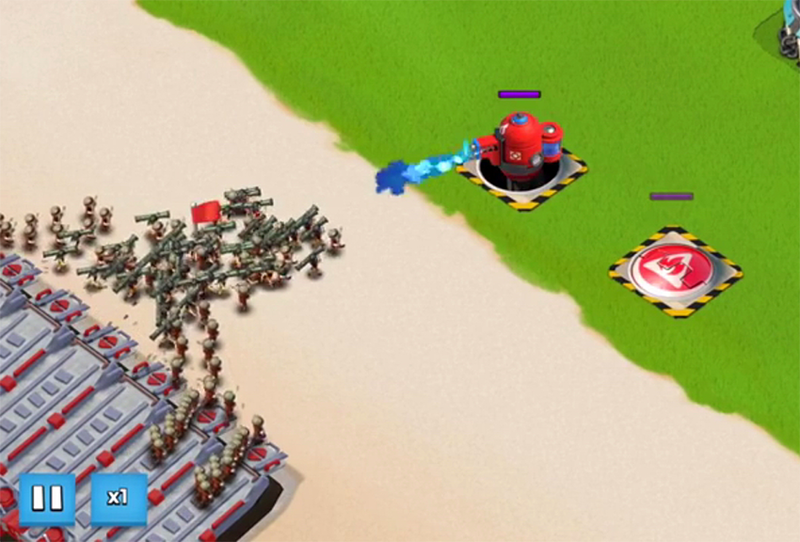 I like Flamethrowers and I consider them one of the best defensive buildings in the Boom Beach (they are very effective against Hammerman) and accordingly I hope this new prototype will be successful! 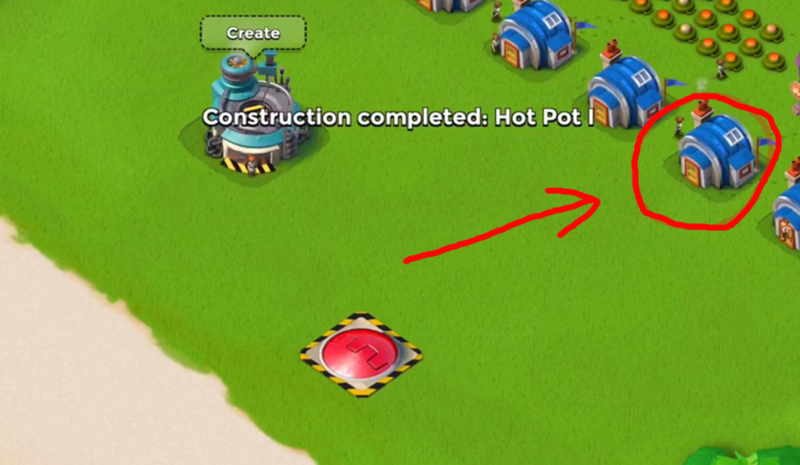 On the video below you can see review of new prototype in Boom Beach from one the most known Boom Beach Yotube channel “nickatnyte”. 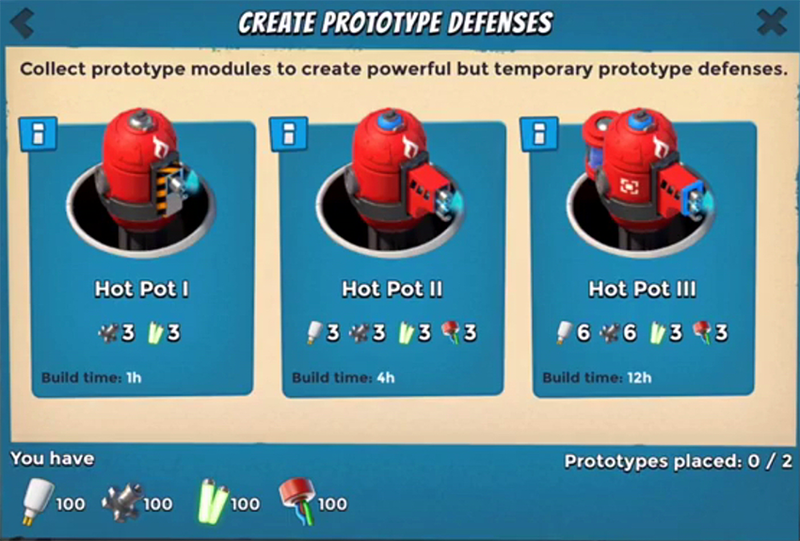 In this video shown an example of action of every from three levels of Hot Pot against Hammerman. If you were attentive you have had to notice in the video review a new kind of building, the purpose of which remains mysterious. Most likely it’s some new kind of warehouses. I think so because only storages and residences has big amount of buildings. In any case the wait is not long and soon we will know all about this upcoming update. 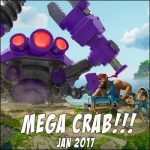 The next Mega Crab is coming! 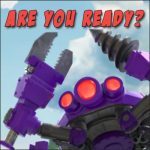 The next Mega Crab has left… Poll. This entry was posted in NEWS, OTHER and tagged updates. Bookmark the permalink.